The ship has traveled far and wide across the seas, enjoying her bounty. However on your way back to port you've stumbled into a horrible storm. The Lustful Rambler is jerked too and fro from dusk till dawn, her sails creak and the crew scrambles to try to keep her steady. Once daybreak hits you find the ship is in oddly still water. There is no wind...there are no waves. You do see a rock off the port of the ship, black and jutting from the sea. Upon it is a larger man or...is it a man? 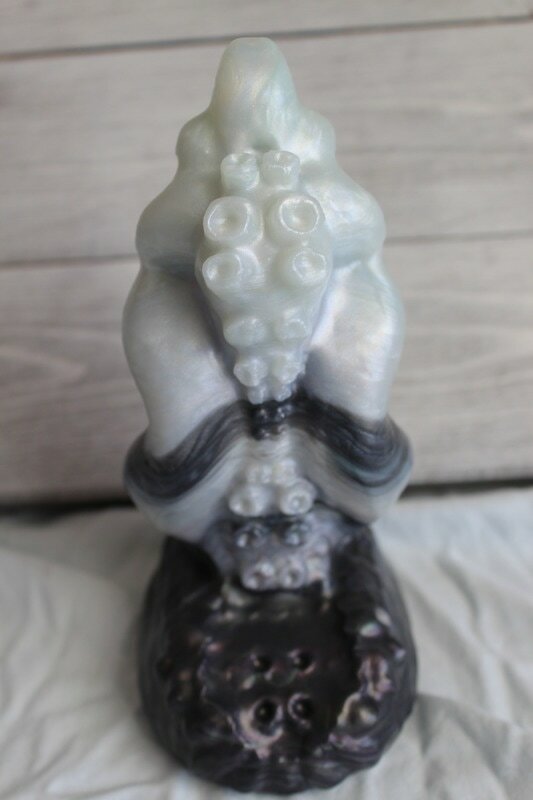 With long tentacles making up his lower half but the upper half of a man it tricks your eyes at first and the rest of the crew seems to take pause to eye this stranger with you. The figure leans up, coiled on the stone almost like a serpent and points an engraved silver staff toward you and the crew. 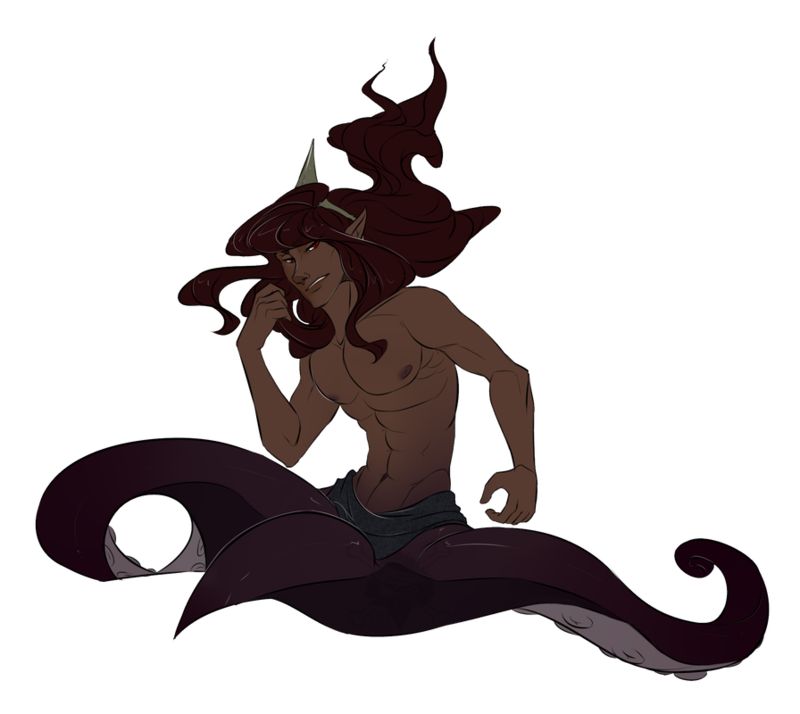 "I am Mako, King of the Tides and you will provide me an offering if you ever want to sail again." After he gives a rather clear smirk, looking rather cocky about the situation he's put you in. You turn back to the crew who all seem to be equally baffled. What could you possibly offer a king? Mako comes in one size and features a tapered design with sucker tentacles on one side. This is an intended vaginal plug/toy design which should provide a tie like feel in use. This one has been in the works for months now and I'm so happy I can finally release it! ​​*Shop character art and stories are just for fun because I like to think of them as a dating sim on a pirate ship. Feel free to come up with your own species, characters, or fantasies for any AKN models in your personal use.